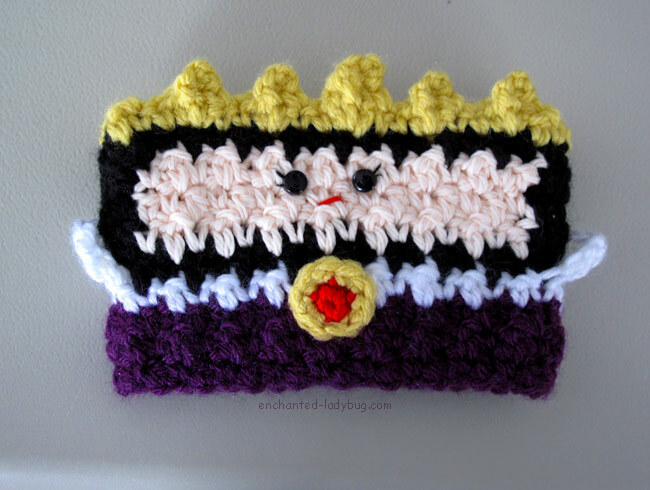 I received a custom request in my Etsy shop from a customer a few weeks ago for an Evil Queen cozy from Snow White. 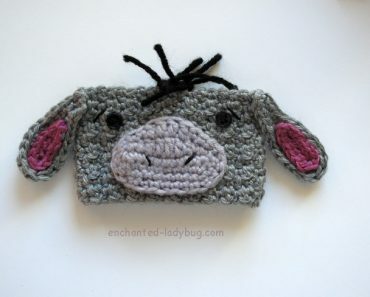 I was so happy with the way she turned out so I wanted to share my pattern with you all today! 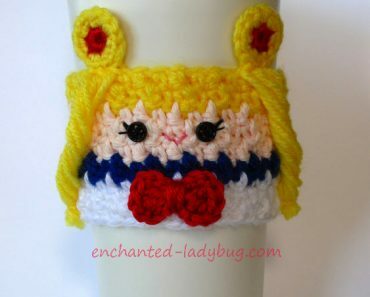 I just love receiving custom requests because a lot of the time it is for a character I would have never thought of on my own! I am so excited to continue with the Disney Villains, they are fun! 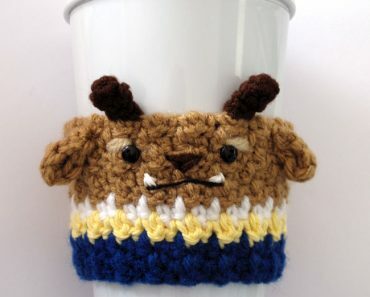 For my Evil Queen cup cozy, I used a 4.0mm crochet hook. For her dress I used Lion Brand Vanna’s Choice in Eggplant. Her skin is made with Lily Sugar ‘n Cream in camomile. 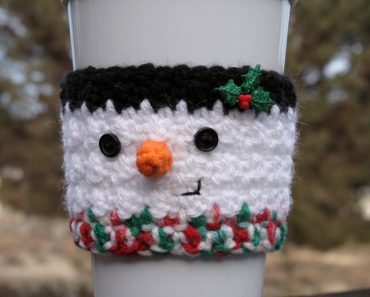 I also used worsted weight yarns in red, black, white, and a gold color. I had the gold leftover from another project so I can’t remember what brand it is, but any gold or yellow color would work! 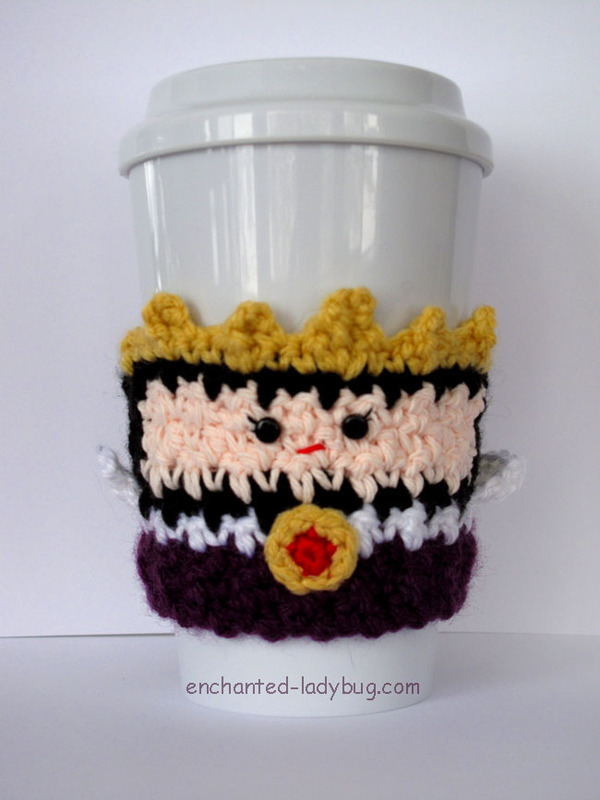 If you would like to make your own Crochet Evil Queen Coffee Cup Cozy, you can download my free pattern below! 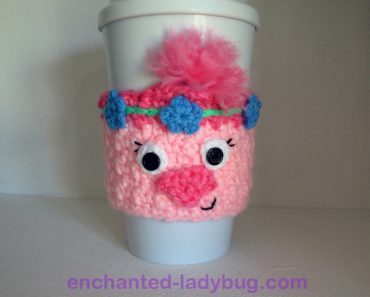 For my Free Snow White Coffee Cup Cozy pattern, click here! 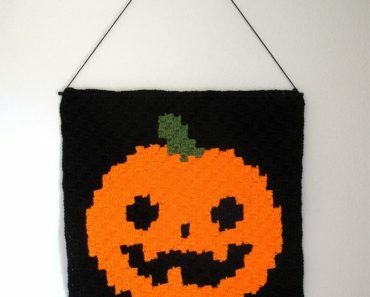 I love seeing my fans’ work, share a picture if you make one to my Facebook or Ravelry page!